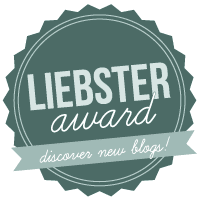 A different and exciting post today – I was nominated for the Liebster award! So a huge thank you to the gorgeous Maria from Beauty Matters for the nomination! 1. I am a hugely indecisive person. I’ve dyed my hair from brown to blonde and back again more times than I care to count. 2. I’m a bigger fan of Disney than my 8 year old sister. 3. I’m a naturally messy person, I have to put in serious effort to keep my room tidy! 4. I don’t handle people being rude to me very well. I currently work in Tesco on the checkouts so as you can imagine, this doesn’t help me out a lot! 5. I’m 100% a spender, not a saver. Makes for some good blog content though! 6. It’s my dream to go to Thailand and feed elephants – my favourite animal! 7. I’ve started and deleted a blog about 5 times – this time I’m here to stay though! 8. I’m a feminist (ooh scary word). 10. I may be going to university in September. Currently in UCAS Clearing waiting for Journalism to pop up. Fingers crossed for me please! 11. I’m incredibly broody, ALL THE TIME. Love babies. 1. Lets kick it off with a light one, Should Britain have voted to leave the EU? No way! I was an IN voter and was devastated by the results! Immediate future – I can honestly say I have no idea, I’d like to go to uni but right now I’m just kinda winging it. Long term – I’d like to be married with a little family, hopefully living somewhere a little more exciting than Scotland. Probably summer, I love the heat. Cold is my worst enemy. 4. If you could only use one makeup product what would it be? This is such a hard question!! Probably concealer, my skin cannot be seen naked. 5. How often do you wash your hair a week? 2-3 times. I try not to wash it too often because it gets greasy so easily and I want it to grow! 6. Do you want your blog to become your job? Right now, no. I’m happy to have it as my little escape from my life and I’m worried it would become tedious if it was my full time job. Tricky, I have so many! Right now I’m loving Natasha’s blog! Follow her on Twitter HERE too! She’s a friendly, cheery little soul, you need her happy vibes in your life. 8. Do you think we are becoming less happy with our lives and ourselves in the instagram culture we live in? I don’t think so. I love social media and how it has connected everyone. 9. Where do you find inspiration for your posts? From other bloggers mostly! I would never copy someone else’s post but other blogs are the best place for inspiration. 10. Where is your favourite place in the world? I love being at my boyfriends house (SO SOPPY). It’s my happy place, where I’m most comfortable. 11. Do you have any regrets? I try not to, there’s no point! All the bad things that have happened have gotten me to where I am now, and I’m quite happy with how things have turned out. Thinking of people to nominate was not hard at all – I’ve decided to nominate Molly from The Beauty Room and Lauren from Little Laurens Blog. Both girls are linked so go check them out! 1. Do you spend more money on makeup or skincare? 3. If you could be anyone in the world for a day, who would you be and why? 4. List 3 things you love about yourself! 5. What’s your holy grail foundation? 7. What are you looking forward to in the next few months? 8. Do you have a strict haircare routine? 9. What’s top of your wishlist right now? 10. Are you an organised person? Another thank you to Maria for nominating me! Remember to check out everyone I’ve linked in this post and thank you to everyone who reads or comments on my blog!